"What will we be having for our Last Supper of 2013, Phanny?". I immediately thought of HUSH Restaurant's D.I.Y Fondue. It was 6:30PM on a Monday night and we had all of our intentions to meet at MoRoCo Chocolat, but, it quickly became 7PM, and with one hour left to go until closing, we hardly found it worth it. 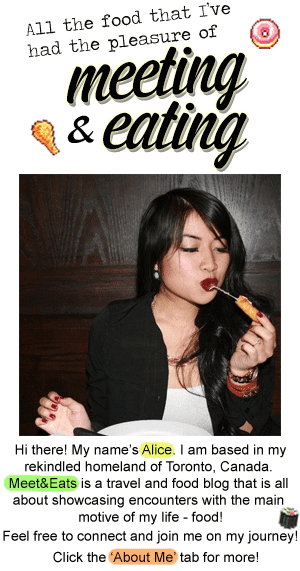 In these times, Yelp always becomes my best friend. 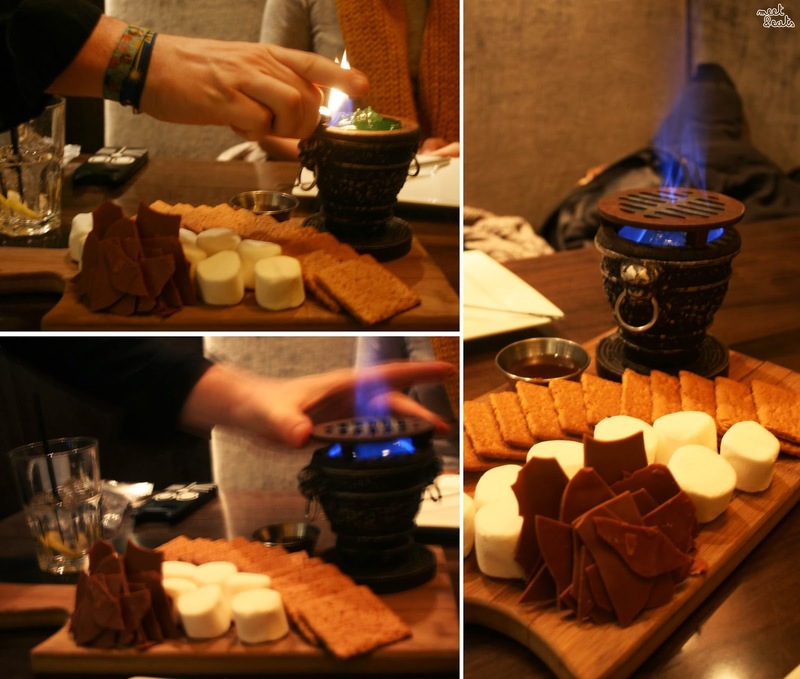 After searching for a place for desserts Downtown, it wasn't too long before I settled for HUSH Restaurant, along with being in a lot of disbelief that their Campfire S'mores - D.I.Y set was only $13. This evening was the first, slushy, incredibly irritating windy weather that I've experienced, upon my memory. 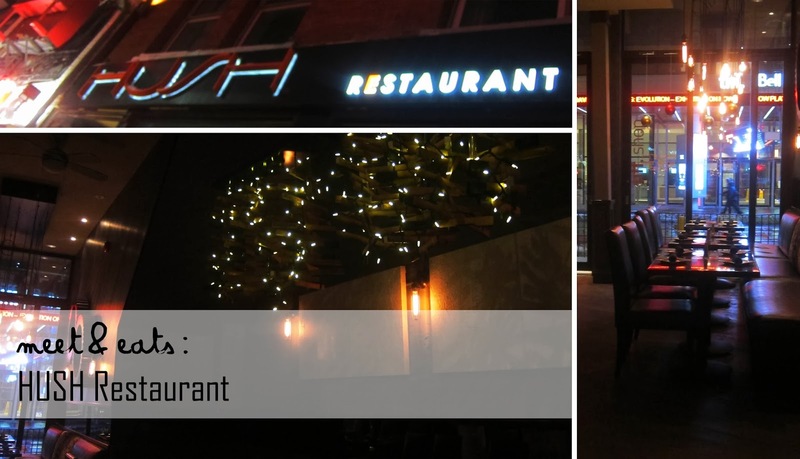 Finally getting myself into the doors of HUSH Restaurant, ten minutes later, we were the two remaining customers. It was irritatingly noisy thirty minutes in, when a few of the staff members decided to test out the speakers, this noise level carried on until we left, we could hardly even hear what we were saying to each other. Prepare for s'more spam (I'm punny). It was my first time eating s'mores, I was never willing to in the past because I simply did not like Marshmallows. After watching my mate assemble her S'more Sandwich and absolutely enjoy it, I had a go. It's amazing how spongey and liquidy the Marshmallow becomes. The Lindt Chocolate Bar to layer melted incredibly quick on-top of the hot melted mashmallow. Everything set on to the one Graham Cracker was an absolute life-changer. 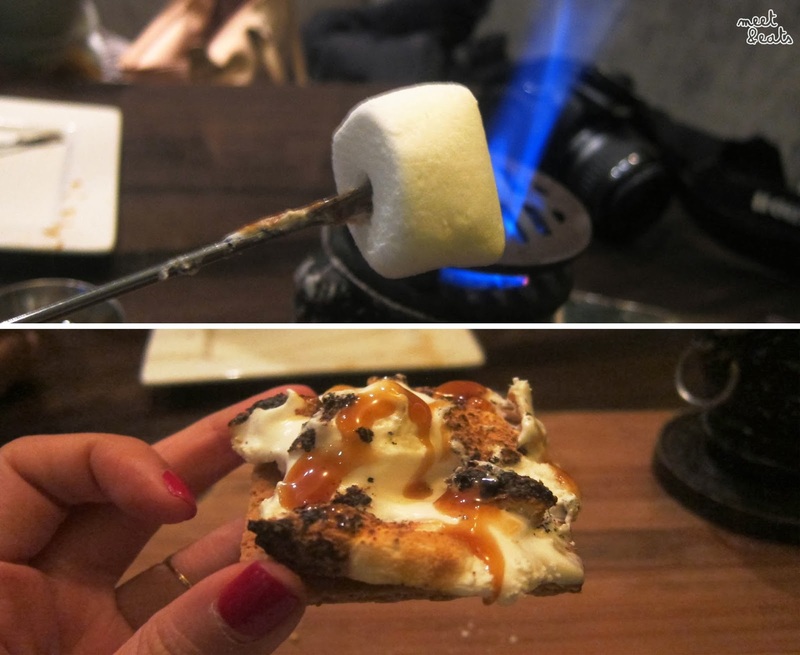 How did I never eat S'mores before?! I have to share this miraculous find with all of my loved ones. It was absolutely amazing! The final Marshmallow to melt, was the saddest part. I loved the lighting of the place on the tables at the back, and the booths we were seated in served for a cozy spot to chill for a long period of time. The server would run past us every so often to see how we were doing, and was a delight to chat to. 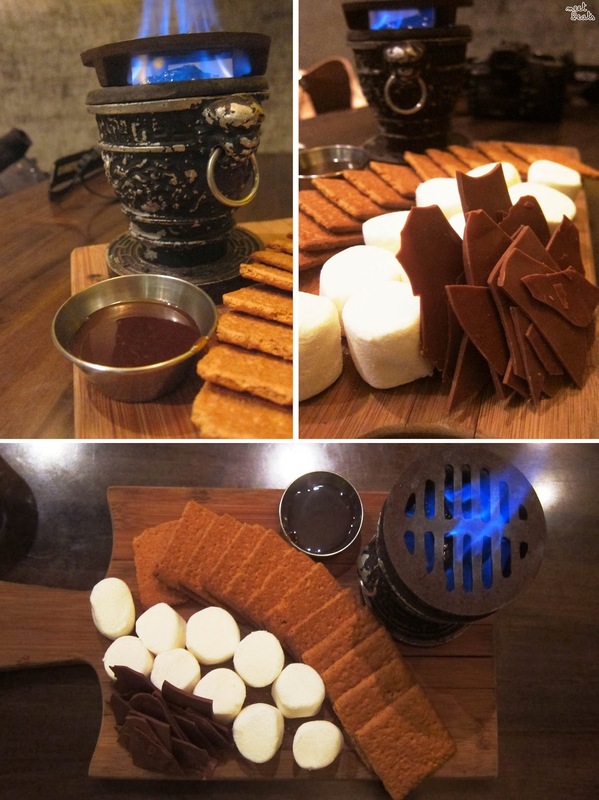 I will definitely be coming here again, especially for the Campfire S'mores ($13)! I also need to try their Fresh Skillet Cookie ($6.50) (a Cookie in a hot skillet topped with Vanilla Gelato, Choc chips and Caramel sauce - I need it!). I would like to see more menu items to win over my heart, but just for the Campfire, I am absolutely coming back.